Who doesn't enjoy and love the art work of Jim Shore? Springs Creative has brought his beautiful artwork to life on cotton fabric. 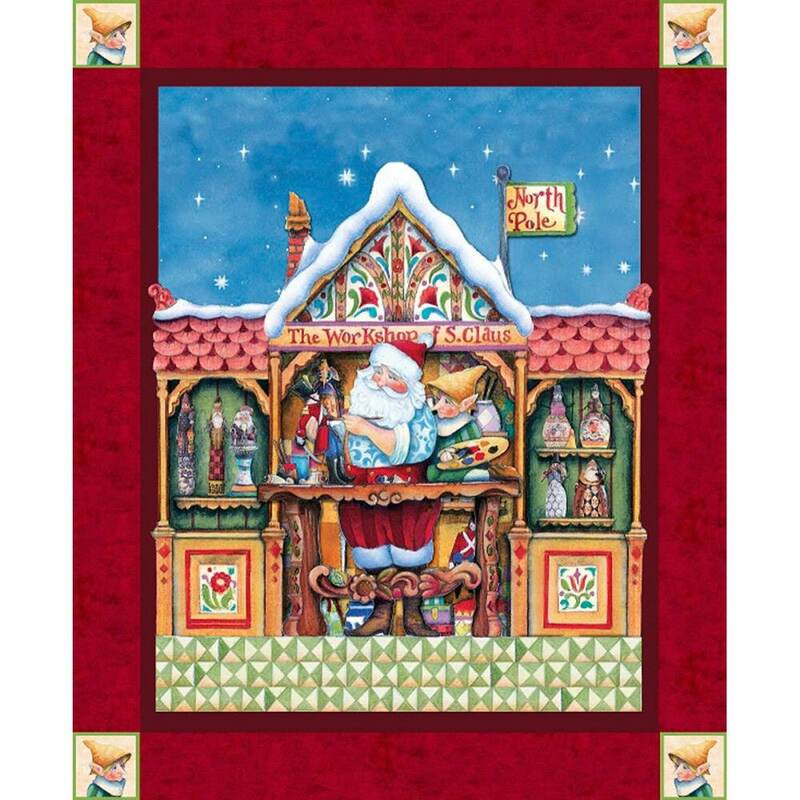 This beautiful cotton panel will bring joy to any home during the holidays. You will delight to see jolly St Nick working away at his workshop along with his elves making sure all toys are ready for the big day. Santa measures approximately 15 inches tall and his workshop measures approximately 24 inches across and approximately 26 inches tall. You will find beautiful shades of red, gold, green, yellow, blues and whites. A must have for every Christmas holiday. A beautiful holiday Christmas fabric.